7g Feel the pure care! 100% natural shea butter to gently protect and soothe your particularly sensitive skin. It effectively softens and rejuvenates dry skin. Shea butter travelled from the villages of West Africa to the laboratories in Sweden until it finally arrived in the hands of the STENDERS craftsmen. They have made shea butter especially easy to use. Always keep it within reach to care for your hangnails, lips and dry skin whenever necessary. Gently massage the shea butter onto your skin. Use it to care for your lips, hangnails, the skin around the eyes, and to nourish particularly dry skin. Shea butter also helps to calm your skin after insect bites, small injuries and sunburn. The packaging is safe up to +50°C. 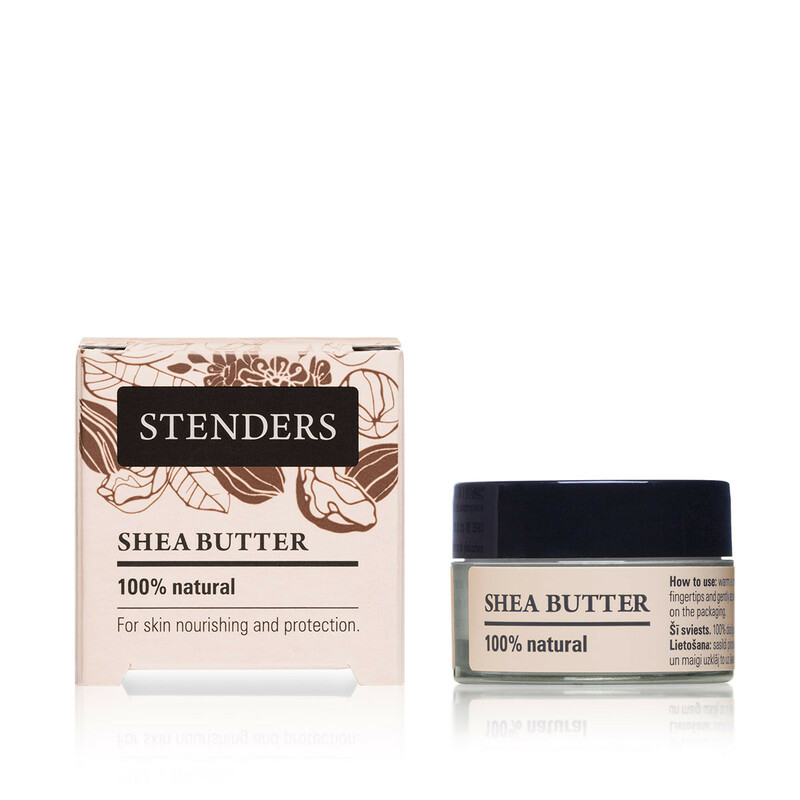 Look out for shea butter in other body care products from STENDERS. Jul 22, 2015 “Is this cream helpful and effective for a cellulite skin?